PGA club professionals are among the most valued members of the golf industry and to Garmany Golf, the innovative global golf travel company, the target audience for a rewarding program through which PGA professionals may provide memories of a lifetime for their club members. The Garmany Golf Skills Challenge presented by the Sacks Parente Golf Company. Established in 2009, Garmany Golf is dedicated to creating unique and unforgettable golf and travel experiences worldwide with world-class guest service at the core of those experiences. Each Garmany Golf Experience™ is planned in detail by their Concierge Team, who design and oversee every detail of the experience and planning process from start to finish. Whether for a select corporate incentive, a college alumni association, or collection of close friends – golfers and non-golfers alike – Garmany Golf showcases premier destinations, bucket-list golf venues and unique cultural attractions around the globe. Garmany Golf headquarters are in Austin, Texas, with locations in Chicago, Illinois, and Edinburgh, Scotland. 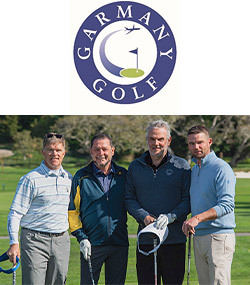 www.garmanygolf.com | Phone: (408) 755-9405 | Email: experience@garmanygolf.com | Twitter: @garmanygolf | Facebook: www.facebook.com/garmanygolf. For additional information visit www.garmanygolf.com or call (408) 755-9405.